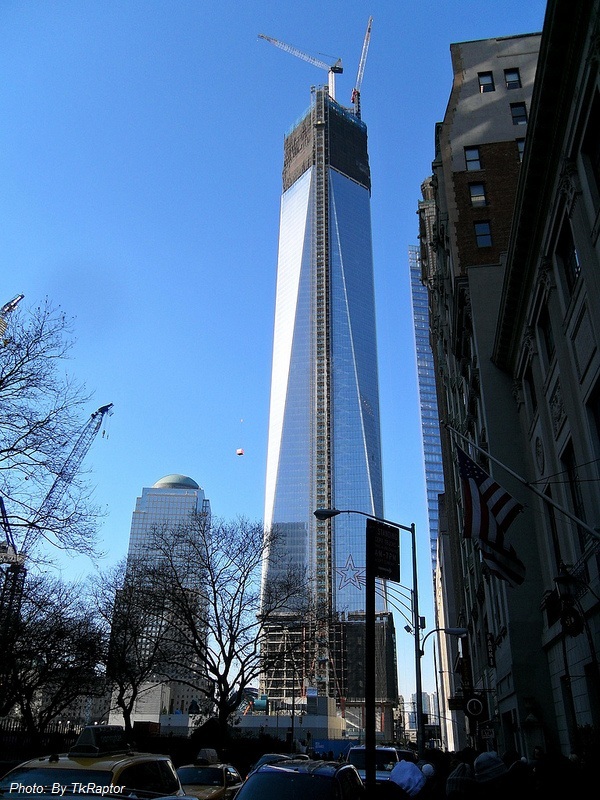 The 104-floor One World Trade Center is New York’s tallest building and replaces the fallen twin towers. 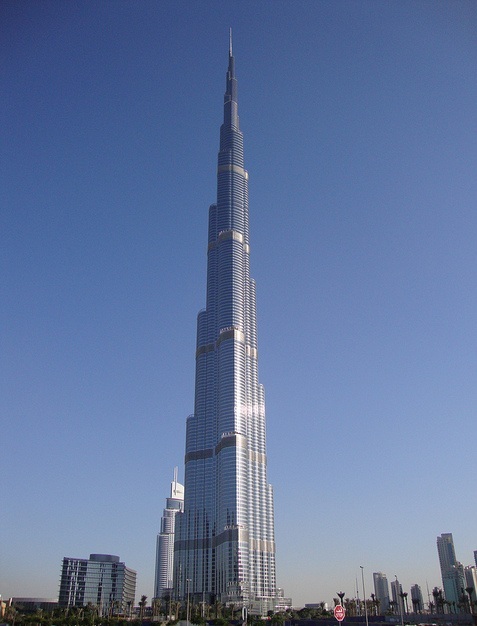 It is the tallest building in the United States of American and in the Western Hemisphere. 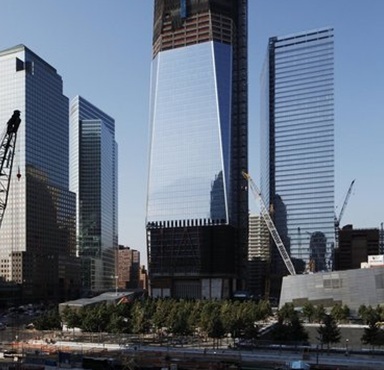 The spire is 408ft tall, bringing One WTC to 1,776 feet tall. 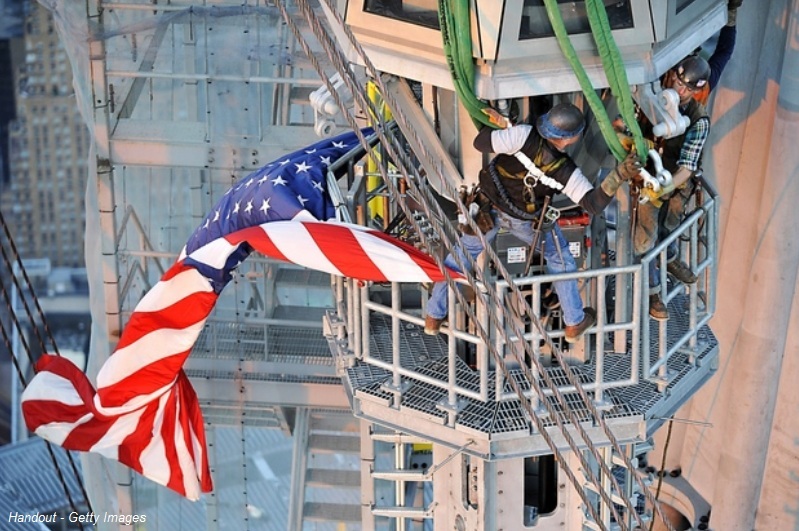 Installation of the 408-foot spire began in December 2012. 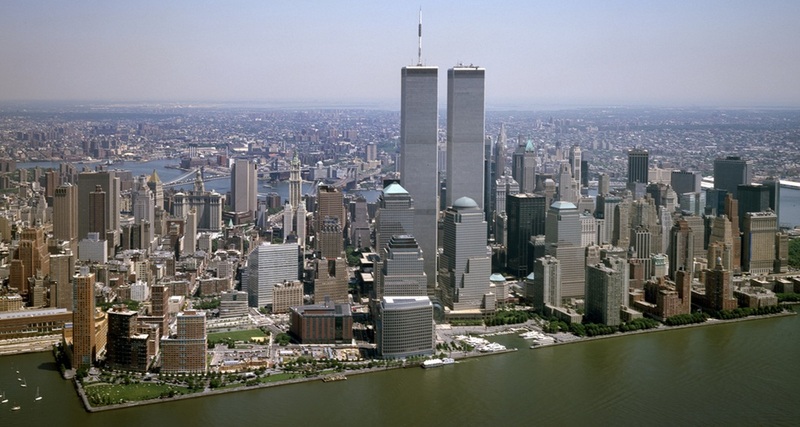 Poll: Are you happy with a single tower replacement of the Twin Towers? 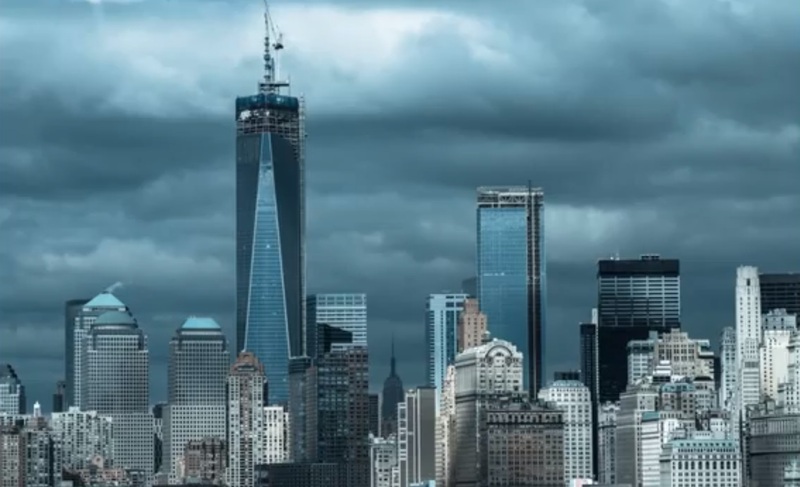 The Port Authority of New York and New Jersey has recently reported that the new One World Trade Center office tower has reached 104 stories high. 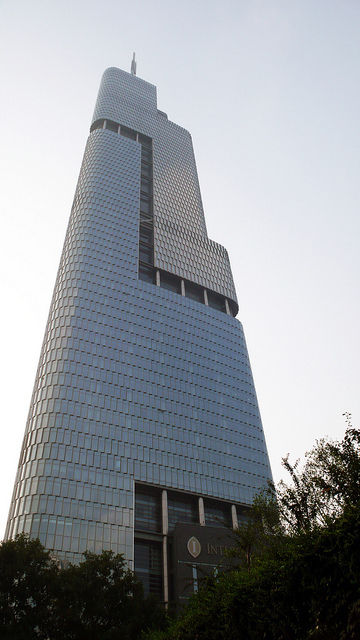 ■Steel has risen to the 104th floor. 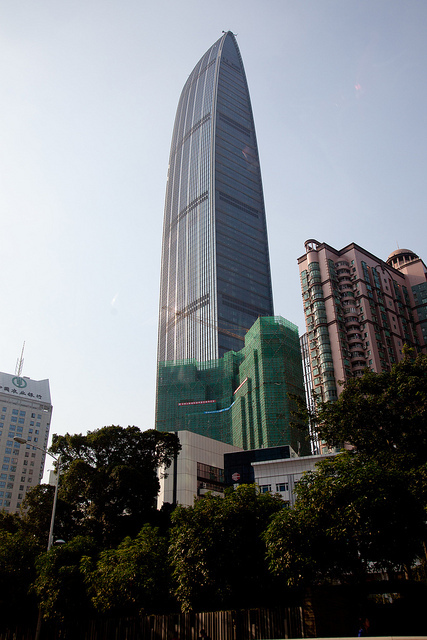 ■Installation of glass curtain wall has risen to the 79th floor. ■Installation of concrete floors has risen to the 92nd floor. 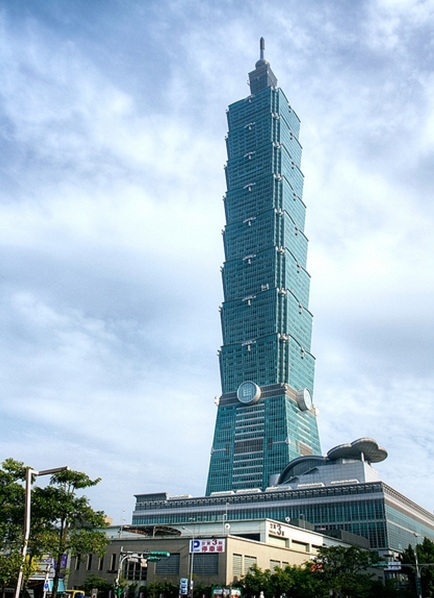 ■Installation of podium glass will begin in 2012 to allow for construction activities and deliveries to proceed in this area. 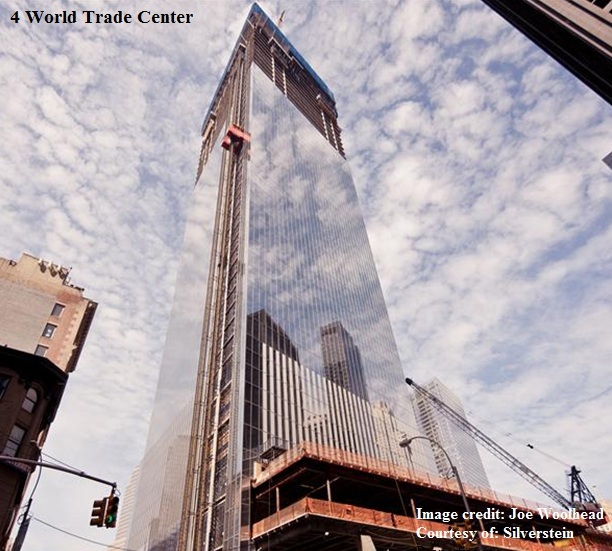 One World Trade Center will reach the height of a 104 story building with a roof top height of 1,368 feet (416.96 m). 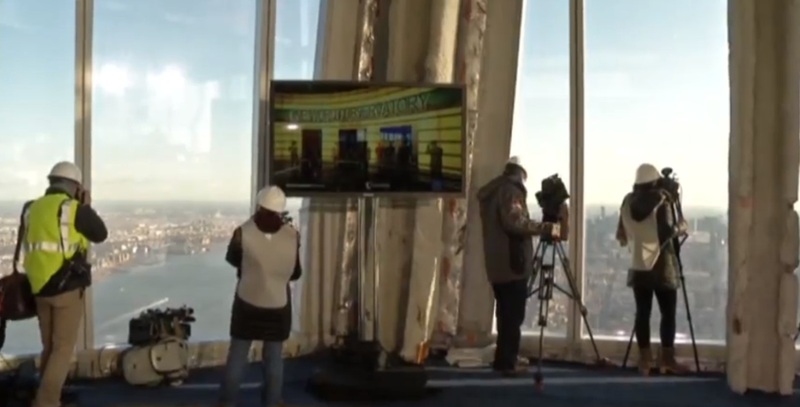 The 90th floor will be the building’s highest office floor. There will be mechanical equipment floors from 91 through 93. 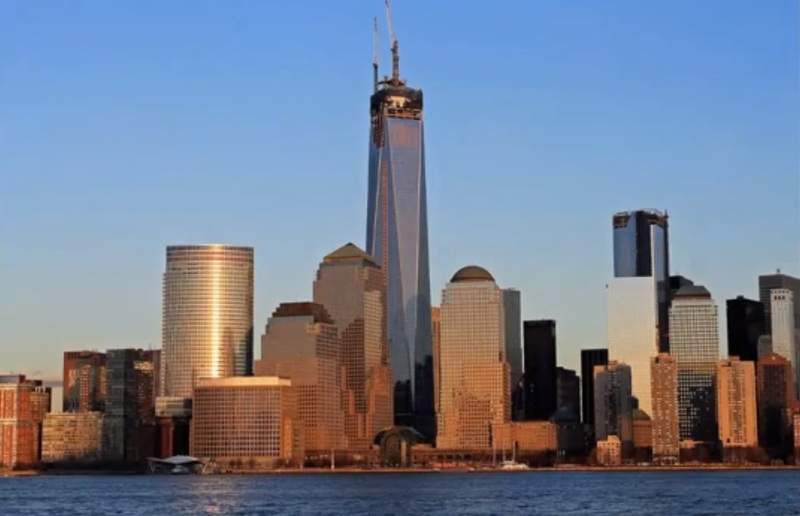 When completion in 2013, One World Trade Center will be the tallest building in the Western Hemisphere by pinnacle height and the 3rd-tallest building in the world, with its spire reaching 1,776 feet (541.3 m). 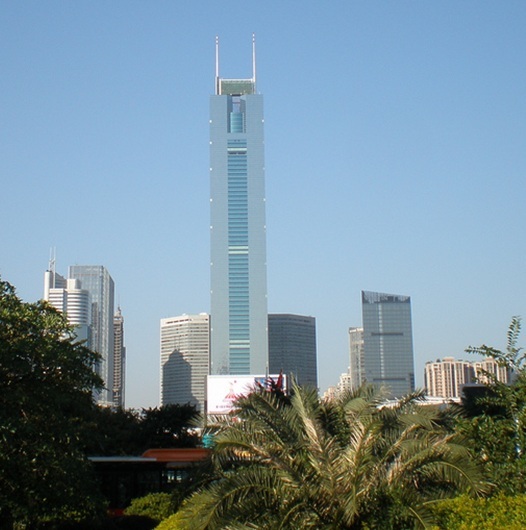 Spires and elements of skyscrapers that are part of the original design, that are actual integral parts of the architectural design of buildings, are included in the official height of skyscrapers. 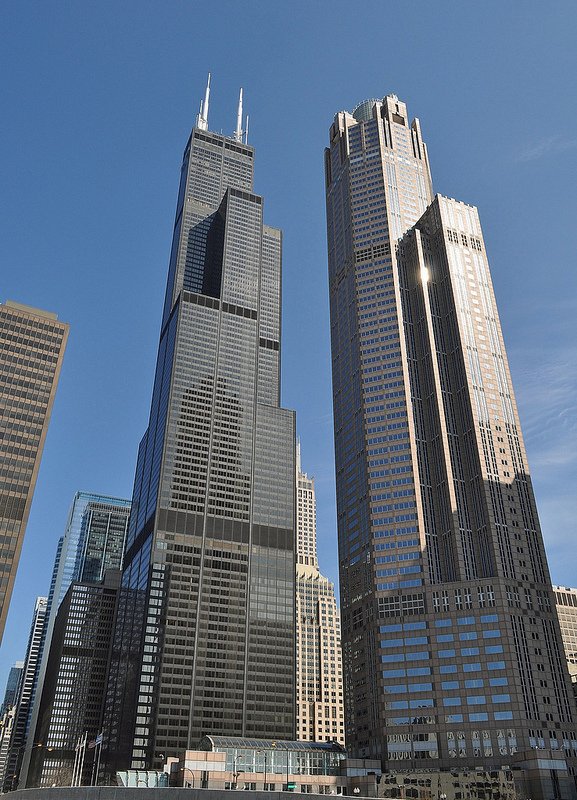 Iconic antennas as the white colored ones on the top of Willis Tower (former Sears Tower) in Chicago are not architectural features and they are not counted into the official height of the building. 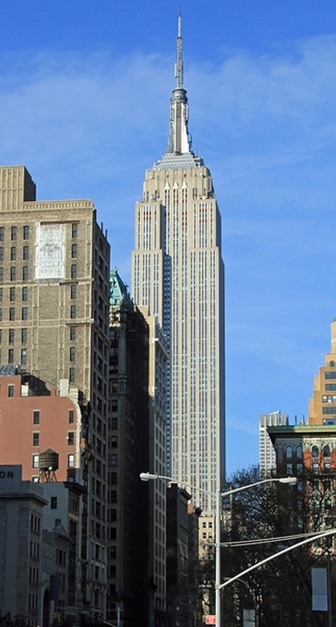 The Empire State Building will once again loose its title as the tallest building in New York. The Empire State Building stood as the tallest building in New York and in the world from 1931 until the Twin Towers were completed at the World Trade Center. 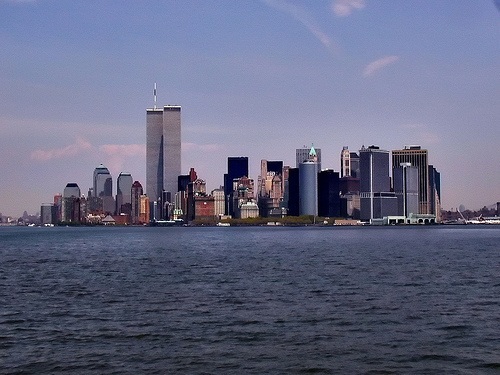 One World Trade Center 1,368 ft (417 m) [with antenna spire 1,727 ft (526.3 m)] was completed on December 23, 1970 and Two World Trade Center 1,362 ft (415) July 19, 1971. 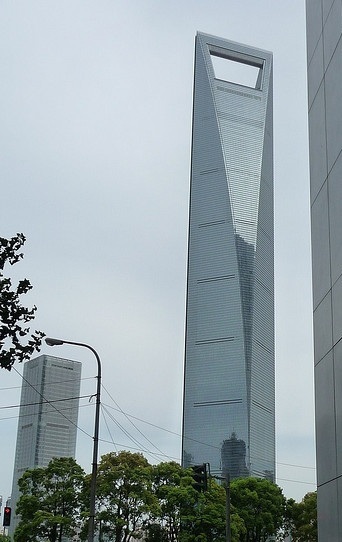 It became the tallest building once again after the September 11 attacks on the USA. The Empire State Building has a roof height of 1,250 ft (381 m) with the pinnacle antenna spire included 1,454 ft (443.2 m). The Empire State Building also might be soon passed by the proposed residential tower named 432 Park Avenue with a proposed height of 1,397 feet. 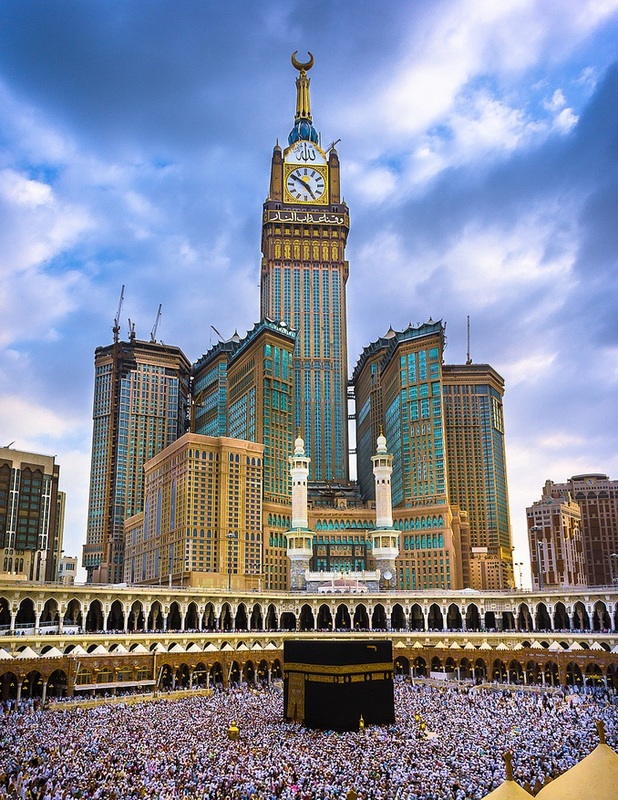 The Kaaba in Mecca, Saudi Arabia is the most sacred site in Islam. Muslims around the world face the Kaaba during prayers, no matter where they are. One of the 5 Pillars of Islam requires every Muslim to perform the Hajj pilgrimage at least once in his or her lifetime if able to do so. 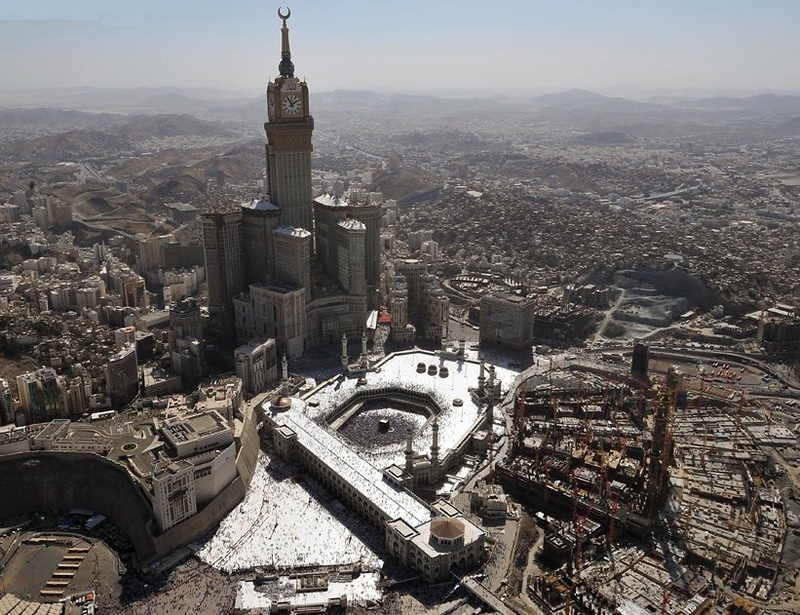 The pilgrims then are to walk 7 times around the Kaaba in a counter-clockwise direction. 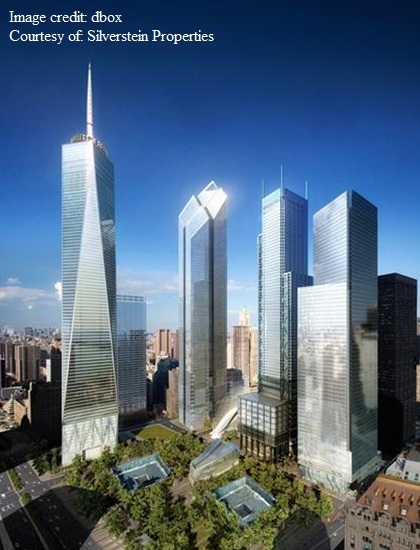 2 WTC will rise to 88 floors and will be 1,349 feet (411.17 m) and be topped by an 80-foot antenna spire. 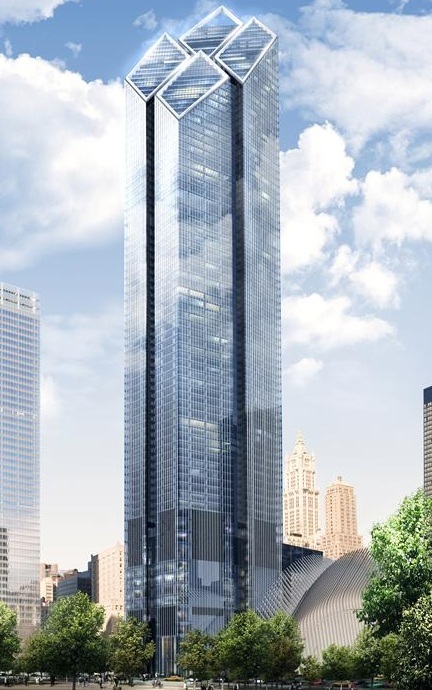 At 1,349 feet, 2 WTC tower will contain 5 levels of retail; four trading floors; 60 office floors — a of total 3.1 million rentable square feet; and a 67-foot-high office lobby. 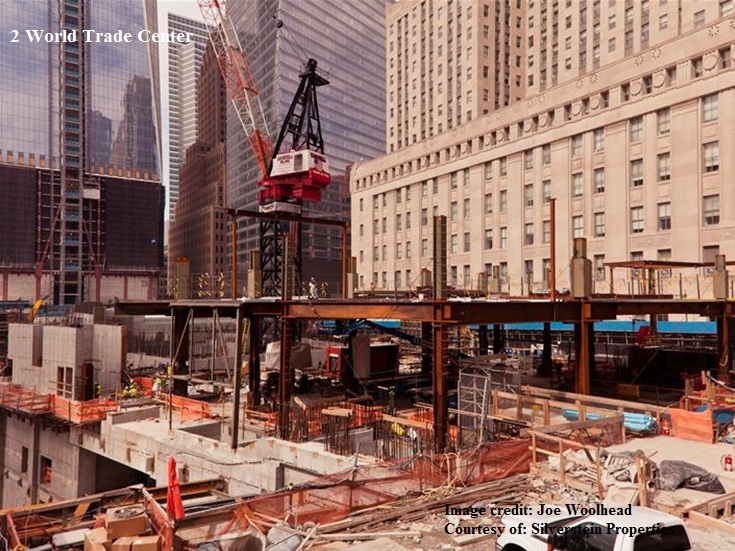 Its eight entrances will allow access at street level, below-grade at the WTC Transportation Hub, and at the retail area. 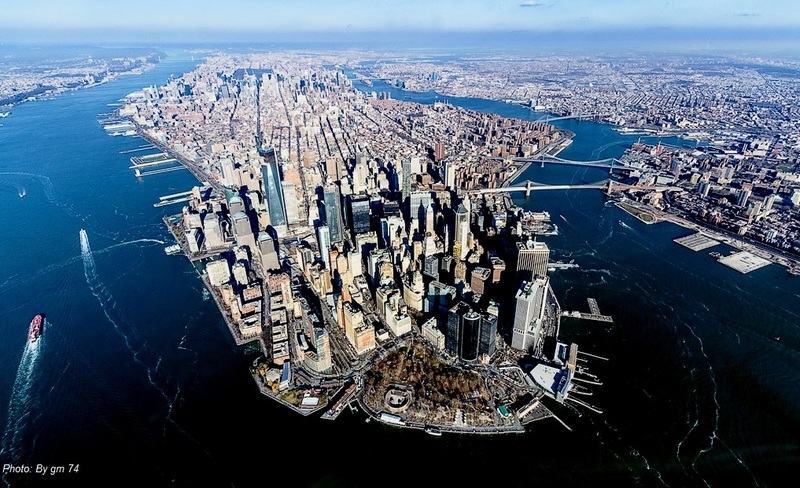 A typical office area will vary in size from 41,000 to 45,000 rentable square feet of space. Trading floors will be 65,000 square feet. 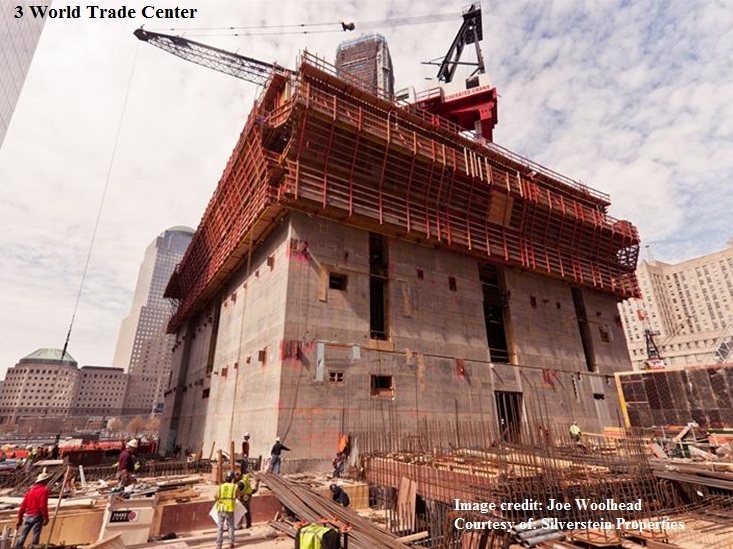 3 WTC will rise to 80 floors and will rise to a pinnacle height of 1,240 feet (377.95 m) and be topped by architectural roof top spires. 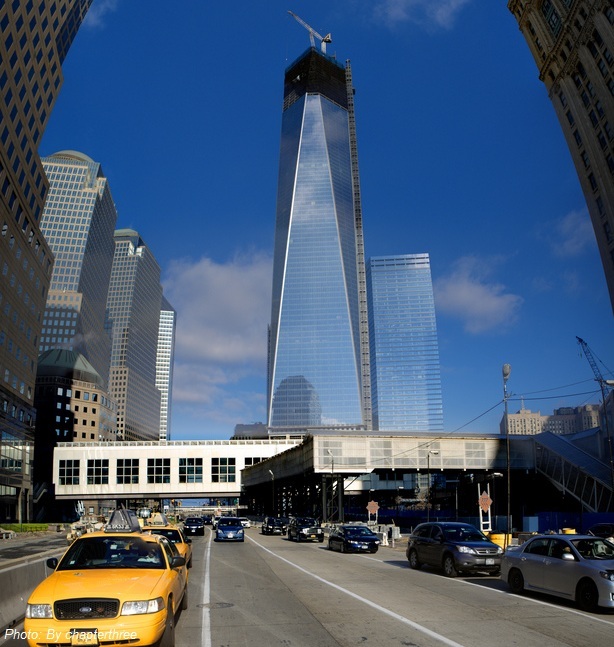 4 WTC will rise to 72 floors and will rise to a height of 977 feet (297.78 m). Completed in May 2006. 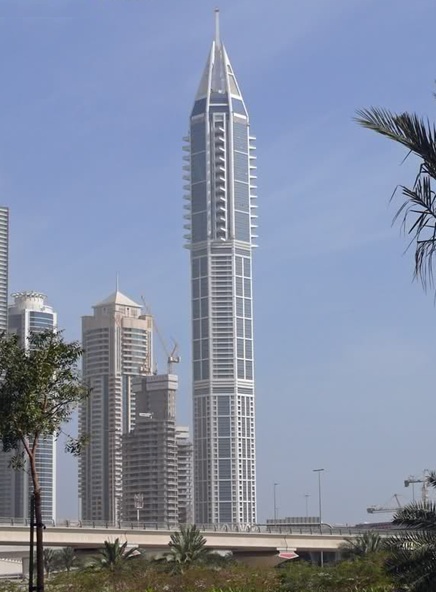 This is a rebuilt 52-story skyscraper. 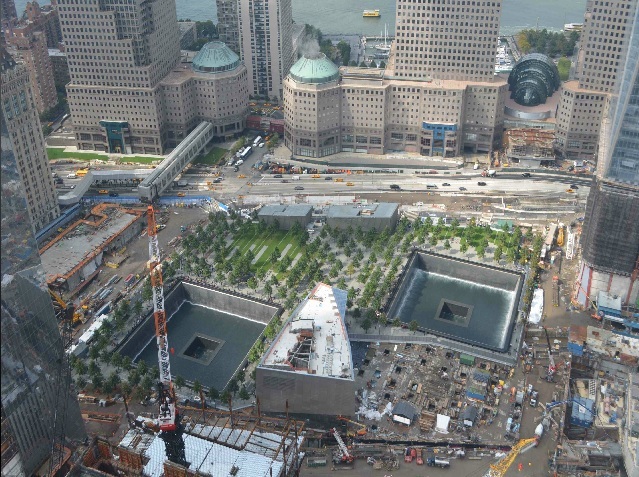 The original structure was completed in 1987 and was destroyed in the September 11 attack. 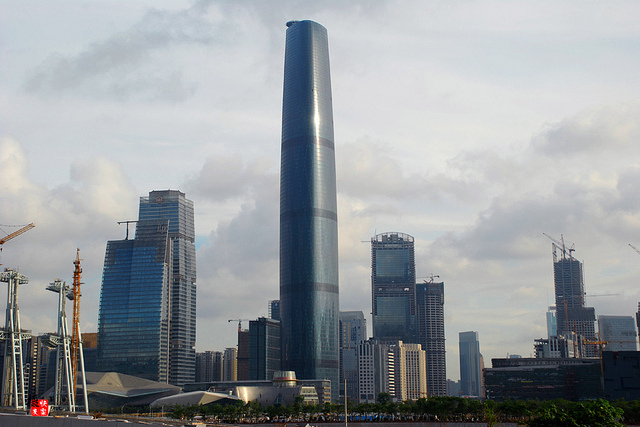 The new building is 52 floors and stands 741 feet (226 m) tall. 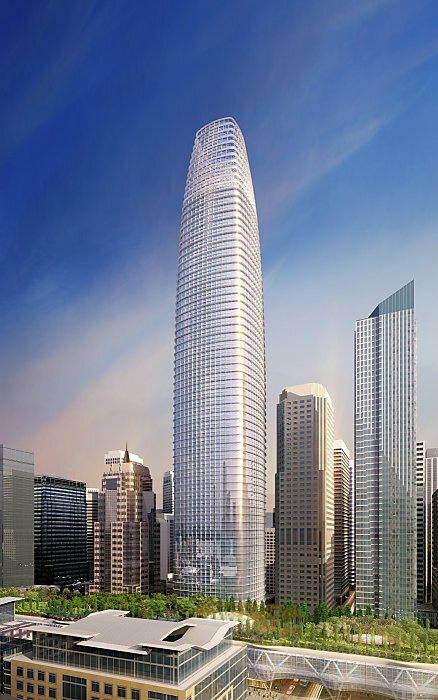 A proposal the San Francisco skyline is proposed to be located next to the Transbay Terminal might become the city’s tallest building. 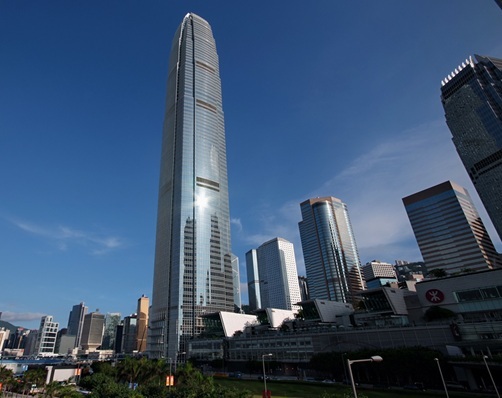 The building is planned at 60 stories and 1,070 feet (326.13 m). The main entrance will be at First and Mission streets. According to the San Francisco Chronicle the building will contain 1.35 million square feet of office space and be accompanied by a half-acre public plaza. The new skyscraper would be 220 feet taller than the 48 story 850 ft (260 m) Transamerica Pyramid, which was completed in 1972 and is San Francisco’s tallest building. California’s and the tallest building west of Chicago and Houston is the U.S. Bank Tower in Los Angeles. 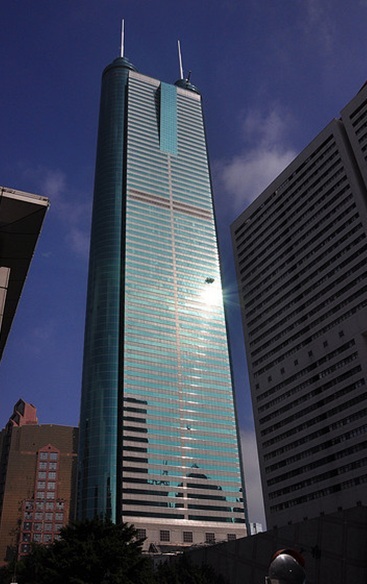 U.S. Bank Tower has 73 floors and is 1,018 ft (310.3 m) tall. 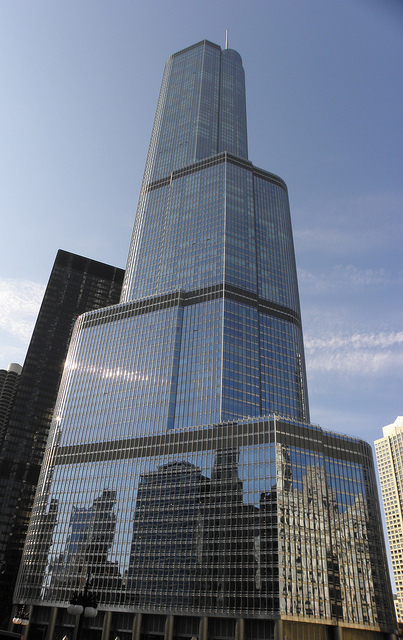 The tallest building in Chicago is the 108 story Willis Tower at 1,450 ft ( 442.1 m) and the tallest building in Houston is the 75 story JPMorgan Chase Tower at 1,002 ft (305.41 m). 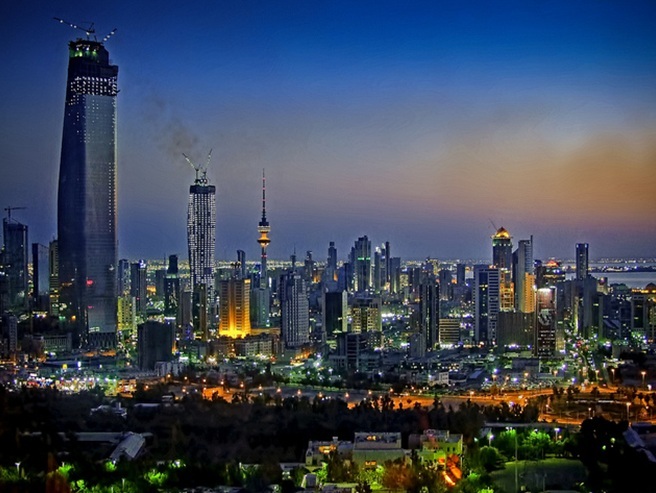 Currently, the west coat’s 2nd tallest building is Seattle’s 76 story Columbia Center at 932 ft (284.2 m) in height. The Planning Department is finishing work on a long-term plan for the area around the former transportation terminal that closed in 2010. 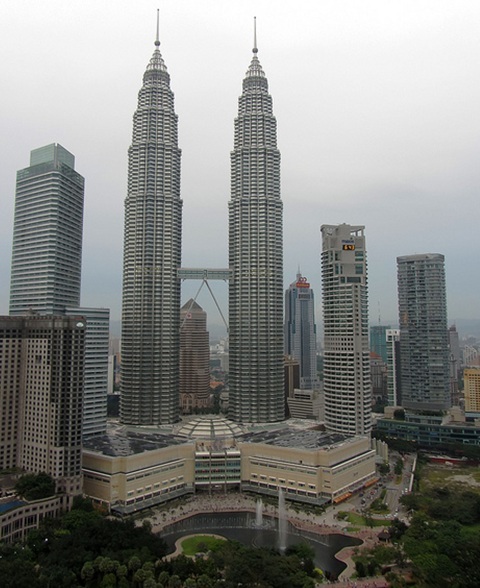 A vote is expected in May 2012 on that plan, which includes the tower’s environmental studies. The plan must be in place before any vote on the tower. Developers say the earliest that construction could begin is late next year, with a 2016 opening. 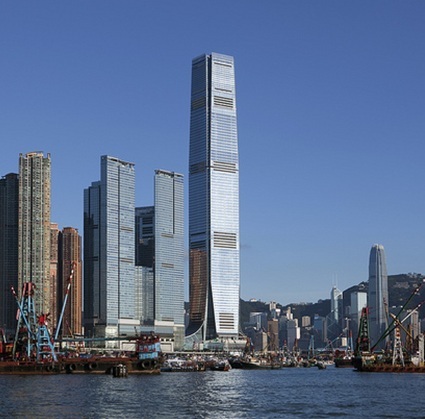 Is tall coming back to American cities? 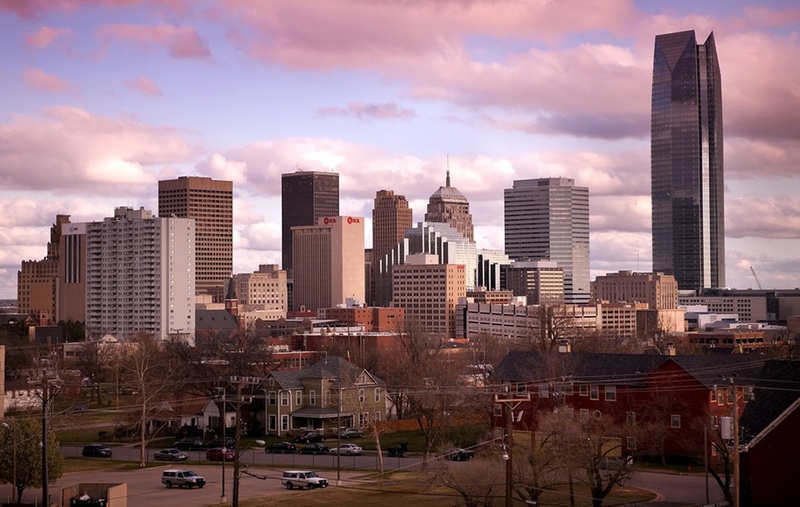 Devon World Headquarters Tower is a brand new 50 story 850 ft (259 m) tall skyscraper in Oklahoma City. 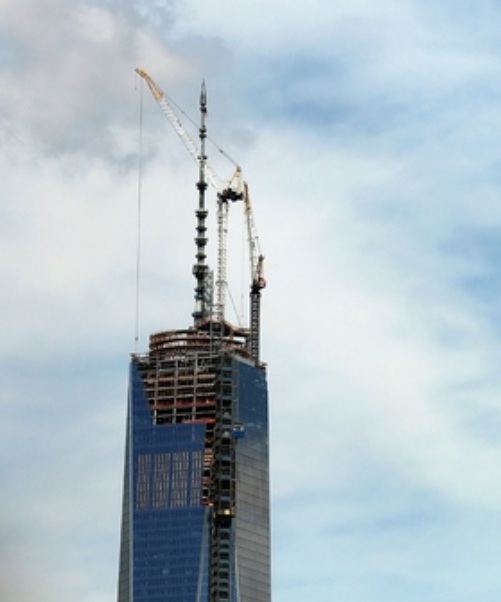 The building marked its topping out on September 21, 2011. 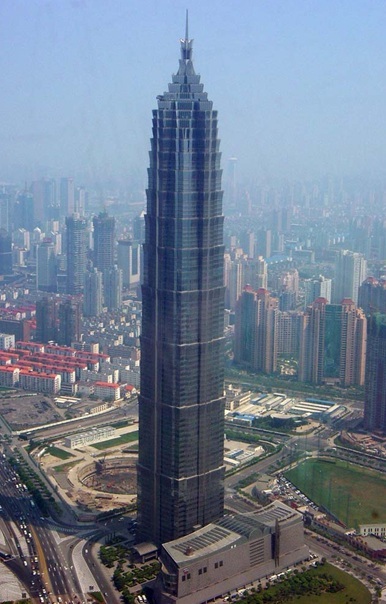 To many people, the shocking thing is a building at such heights was not being built in Dallas or Houston. 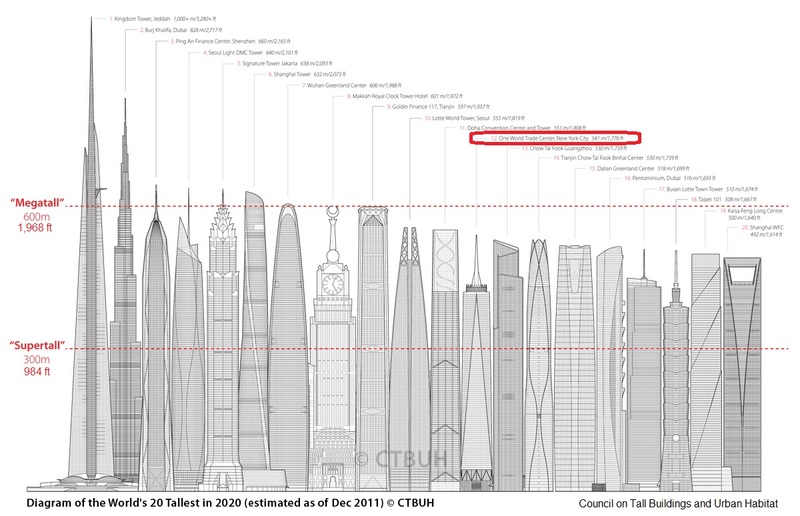 The last building built over 780 ft (238 m) in Houston was 1983 or 29 years ago. That last building built over 787 ft (240 m) in Dallas was 1985 or 27 years ago. The last building over 750 (229 m) in Los Angeles was in 1989 or 23 years ago. Los Angeles’ 2nd tallest building, Aon Center at 858 ft (252 m) was built in 1973 or 39 years ago.